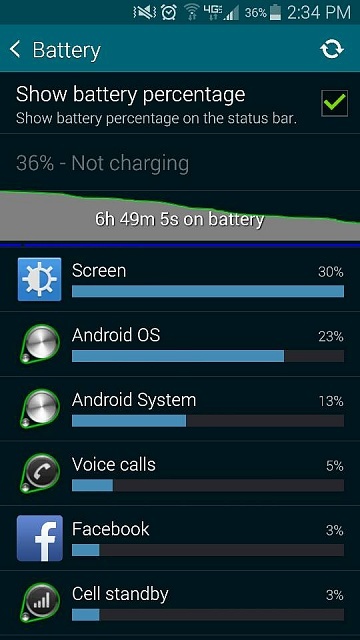 Screen on time is 2h. I'm on Vz, stock, latest updates. No video playback, only AC app, Web surfing, maybe 10 minutes call, some app updates over WiFi, couple of emails. Signal strength was always 3+ bars. This is getting on my nerves, as battery was stellar in the first month after purchase. Then, it went down the drain overnight. I should add that I did not install any apps prior to observing the battery life getting bad. 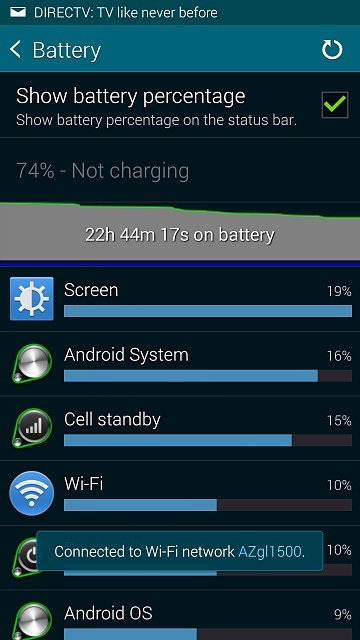 2 days of battery life is possible. 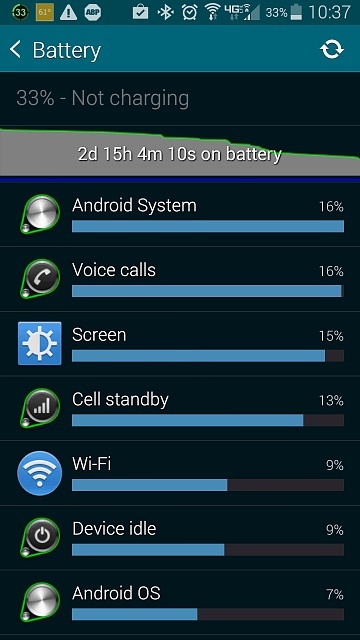 I've gone 6 days and battery life was at 10% with 5 hours of screen time. It all depends on your screen time or how you use your phones, apps, games and such. But lately I've been getting only 4 hours compared to before. Weird, Has to be something running or verizon. 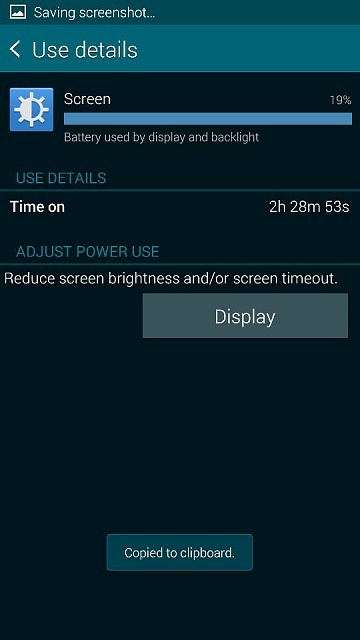 I get normally 16hrs w 4hrs screen on. Have gotten 30hrs with light use. I don't think that is there problem. 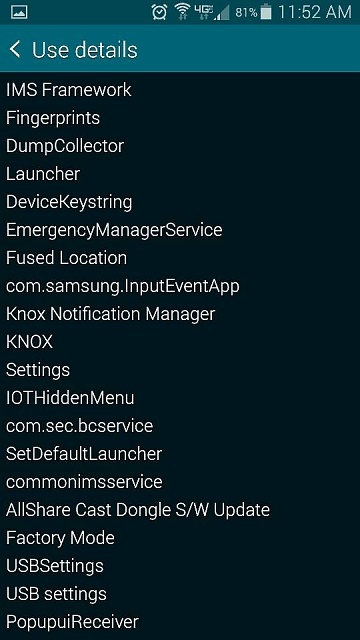 Everything you have listed I keep on and get at least 1 day plus out of my s5. The moment I turn off auto sync I might as well get a flip phone. My blackberry Curve, back in the day had 2 day battery life with auto sync on for emails, Facebook, Twitter, messaging apps... Pretty much what I use this phone for. I get two and half days out of one charge as i manual sync. 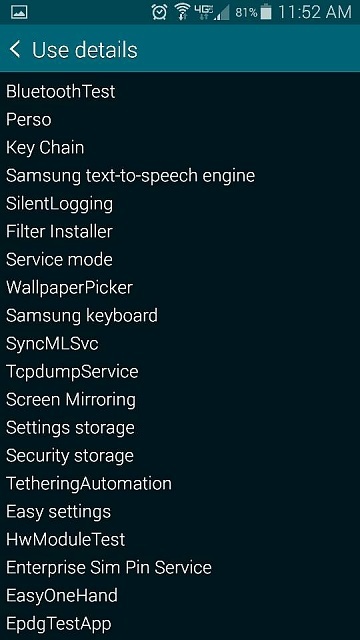 I found this out as a Non Network phone installs 129 apps after a restart , were as a Network Bloated instals 179 Apps five of these apps can be disabled so what's the rest ? 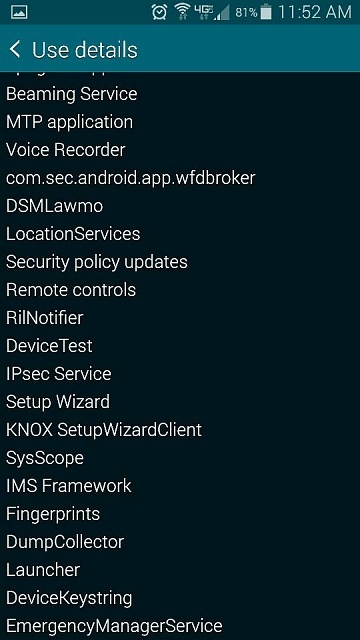 what Firmware is on this phone ?? Here's all the info you asked for. 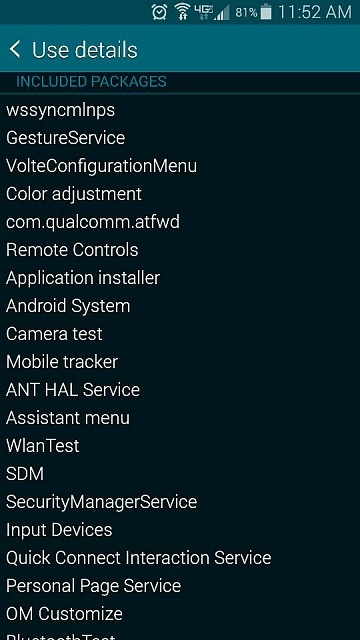 Doing a quick scan of the processes, I don't see anything out of ordinary or that I could turn off. This is your culprit here. 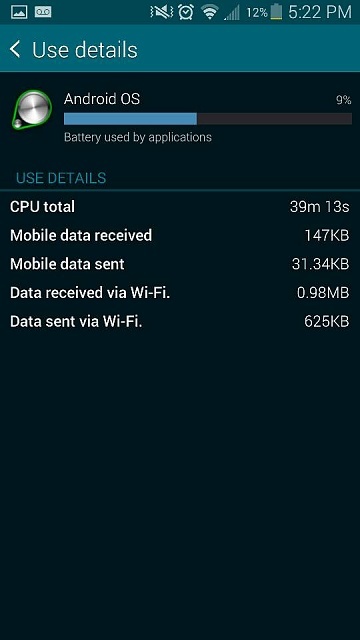 You leave auto sync on and wifi/data on. Try this when you go to sleep at night, turn of airplane mode and see if the battery drain disappear, if it does then you have got your answer. Inspect your battery. If it has bulging or leakage, immediately dispose of it and get a replacement battery. ps...I don't have any widgets running either. I may have one. Not sure if the memo pad is a widget or not. 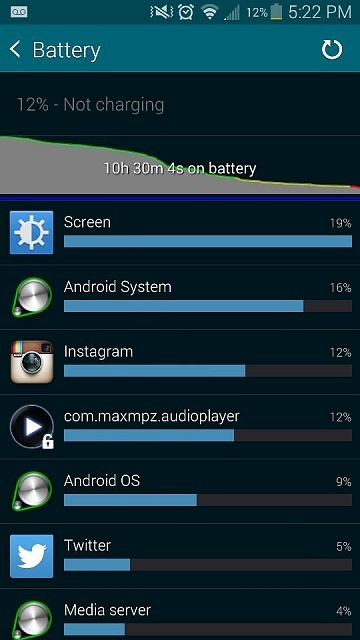 My daughter said widgets use a lot of battery juice. 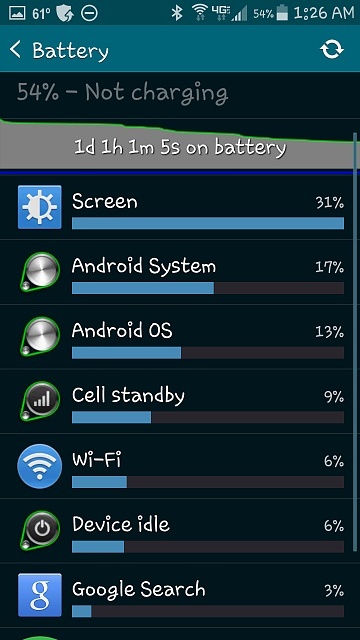 Here is my current battery screen shot. The screen time is 1 hour, 40 mins and 27 secs. And my screen brightness has been on 100% all day It's normally at about 30%. Turned it up and forgot to turn it back down. dadathepanda, I've been having the same problems. I haven't changed my habits at all or downloaded anything new but did install the most recent VZW update. I've tried system scanners, nothing helping. My phone is dead by lunch time. That's really good though. I have 6 1/2 hours and I'm at 37 percent. How do these look guys? 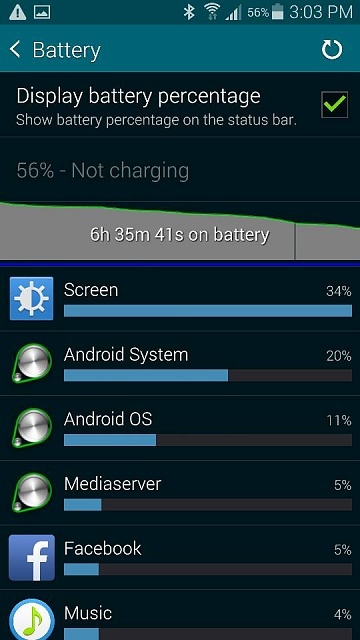 I need help, my battery life is terrible. I just factory reset the phone too. Any help is appreciated. 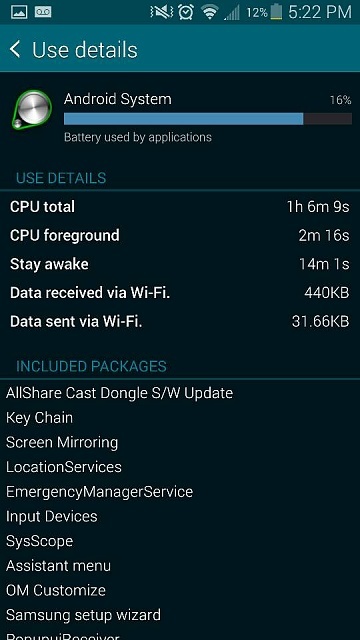 I'm at 46% of after 10 hours and 2.5 hours of screen time. I call this a victory. 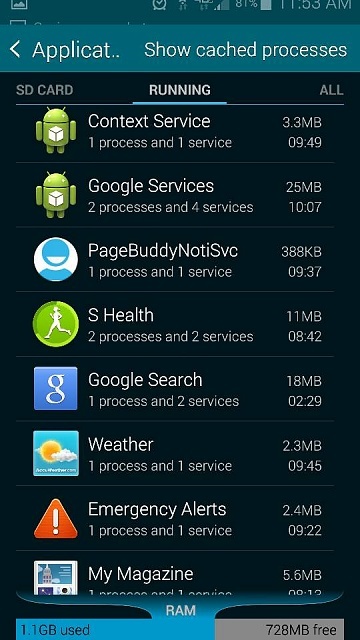 Here's what I did: installed battery doctor and also checked under Settings, Applications, Running Apps which applications are running and if I didn't use, I installed or disabled. The remote control app was always on, as well as transparent weather and a few other. I note that Instagram is high on your list. 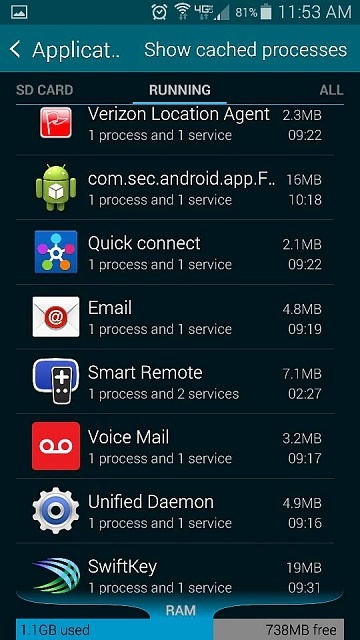 You need to turn off any apps that you will never use as there is no point in them consuming power. Amazon is a bad battery hog. I disable all Amazon apps. I also turned off S Health, don't use it, why waste the battery on it? do that for everything you aren't using. also, how much is the phone being used if the screen is not ON? I took the approach that if the screen is not unlocked there is no need for the internet (WiFi, DATA) and I use MacroDroid to turn it off when the screen locks. MD also sees when the screen is Unlocked and turns the internet ON again. I get the best of both worlds, lots of battery and access to the internet anytime I want it with a full battery. Seems you are using Facebook app and possibly Google+. Unfortunately those social media apps are not friendly to battery on android phones. Try setting manual sync on them. Or even disable, uninstall them and see how that goes. 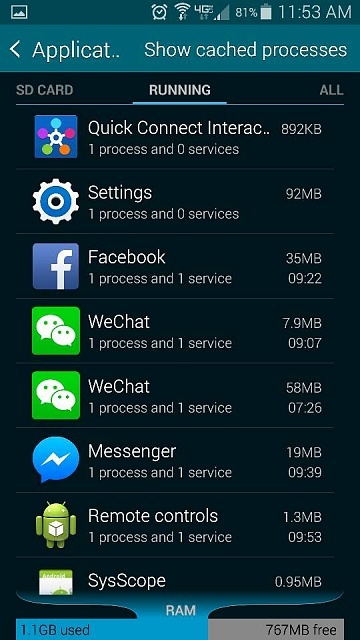 I personally don't use any social media apps and use browser instead to check it manually. Not using Google+ means you can't access your photos on google account. But I use Picasa tool app that does it. And it's much lighter on battery than google photo app that syncs with Google+. Something that I have always learned with batteries is never keep it plugged Over 100% because it can drain the life of how long the battery will last. Other possible is roaming. At my work I put my phone in airplane mode. Try doing the same and see if you have the same results. Uh, that's not true Otto. Phones are smarter than they were. Ack in the 80s, they don't charge psst the charging point anymore. Learn more about batteries before you post random ****. My browser has been blocked by virus, could this be Malware? Why has my Moto G suddenly got a grey circle over the top of where the h+, 3g, g and e normally are? 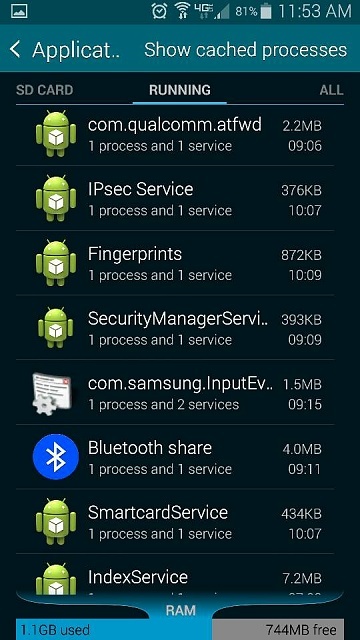 I have Rooted my mobile and got SuperSU app, what do I next? Why am I unable to send or recieve pictures or videos on my LG L34C?